That glorious smell, synonymous with the Haute Savoie hits you before you ever see a cheese roundel. We enter the Caves Joseph Paccard in Manigod to learn what ‘affinage’ really means. The family Paccard have been refining and maturing cheeses from dairy farmers for the last 24 years. They refine cheeses for 35 farmers in their caves in Manigod in completely natural surroundings, using traditional methods. Each year 240 tonnes of Reblochon is refined and matured here. The cheese arrives when it is 10 days old and is placed onto spruce boards. These boards are a vital part of the refining process. The spruce boards can only be cut 3 weeks of the year at the end of a descending moon. This occurs for one week in August and two weeks in December. These boards produce the natural bacteria needed for the Reblochon to mature but prevent the bad bacterias from forming. The spruce boards are naturally disinfected outside for 2 hours per day in the air and are only washed in water. Each spruce board will last for 30 – 40 years and when new boards are introduced they are placed amongst the older boards to help the ageing. This is a most fascinating place and was a very educational guided tour. It is clear to see that the everyone that works at Paccard has a passion for the cheese and a big responsibility to each roundel of cheese in the cave. The Reblochon is refined for 20 days in the caves in which time each cheese is turned daily and nurtured checking using feel and sound and adding milk rubbed into the skin if it is needed. 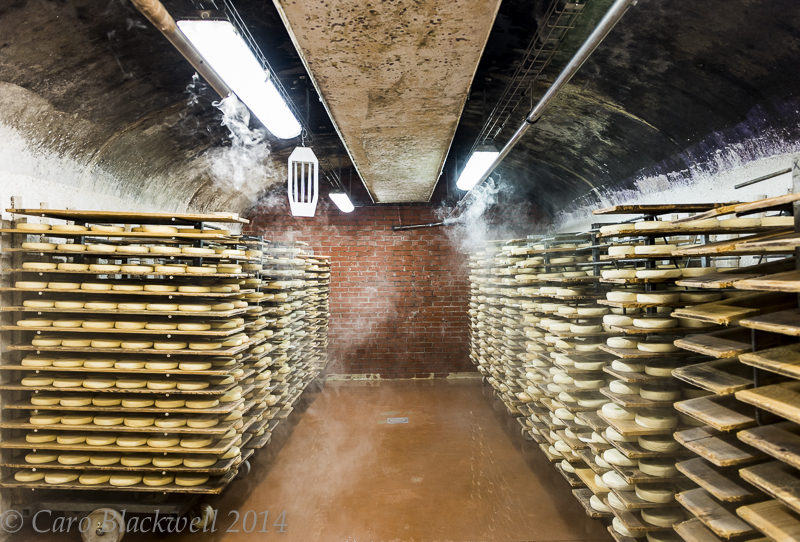 The cheese then spends 10 days in the cold rooms to halt the maturing process. Of the 240 tonnes of Reblochon produced 8%, which represents 3000 tonnes is Reblochon Fermier and has a green seal on the skin. This Reblochon is matured a little longer and is richer and creamier and produced for eating. The rest has a red seal and is the standard quality Reblochon. 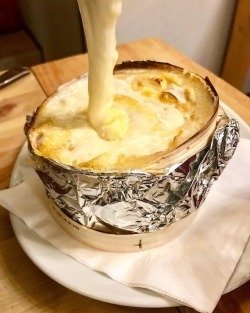 This quality is commonly used in that wonderful traditional Savoyard dish tartiflette, it is however also good for eating just a little milder. Paccard refines and matures several other important cheeses that are awarded the AOP status from this region including Tomme de Savoie Fermier, Tomes de Bauges, Beaufort été, Beaufort d’alpage, Abondance Fermier and Chevrotin a goats cheese reblochon. Paccard organise tours and have a shop on site where one can buy and taste cheeses and an online shop called Les Fromages du Fermier. It is possible to buy the mix of grated cheese for Savoyarde Savoyarde fondue either with or without the wine included. Raclette cheese and a good selection of other cheeses, charcuterie, wine and other produce from the region. This is an informative website with some great recipe ideas. 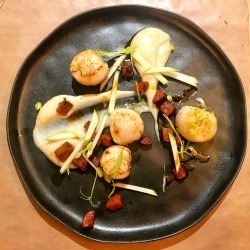 If my post inspires you to visit Paccard, do please mention that you got the idea from Taste of Savoie!